You can find a quality scope for under $300 without a problem. You will get a good scope that won’t have all the bells and whistles. 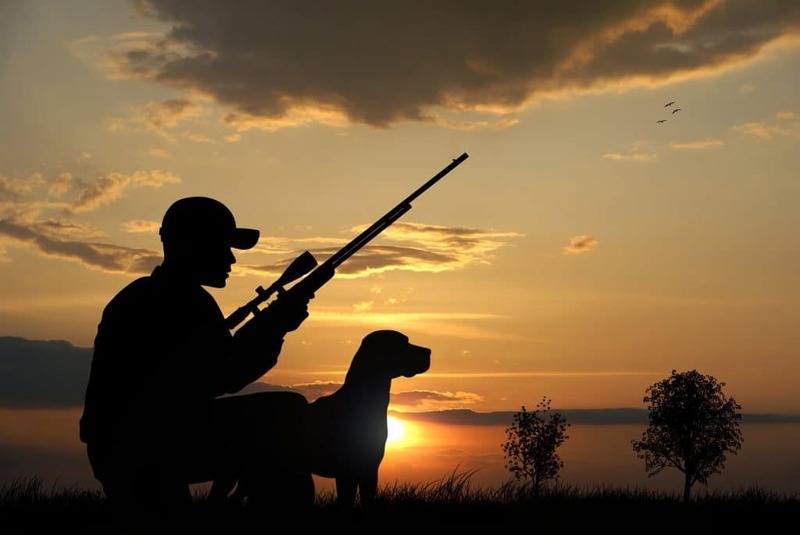 However, you can choose from a number of hunting optics from several brand name manufacturers like Nikon, Leupold or Vortex. 4.2 What scope do you need for 300 yards? 4.3 What is the best scope for a .308? 4.4 What is the best scope for 1000 yard shooting? Scopes at this price point will deliver reasonable quality and specifications that will typically be good enough for the casual hunter. You can expect to get a long-lasting optic that allows you to precisely target for short to medium distances. The basic requirements you can expect to be fulfilled are that the optic will be made from durable material. Most scopes at this price range are constructed from high grade aluminum and will have no problem taking the day-to-day abuse of hunting trips. Another requirement you should be able to cross off your list is that the scopes are shock proof and fog proof. Having a fog proof scope is important as it is a useless paperweight if fog builds up on the inside of the optics which then will not allow you to target anything anymore! A shock proof scope is capable to withstand drops from short heights and the force of the recoil from a rifle. These scopes are typically waterproof but you should not expect to find a scope that is fully submersible. The quality of the glass itself will be acceptable while not comparable to a scope that costs over $1,000! One other thing you can expect is that you get a precise optics. At this price point you should not have to deal with optics that fail to be precise and that cause you to miss a shot. Lastly, you can expect a scope with variable magnification. Most scopes in this price range will give you a range from 3 to 9x but look further down as we found some surprises for you. You get a high quality scope for a superb price. The scope offers the standard magnification you can expect for this price. You get a reasonably low 3x magnification for close range shots. The range can be tripled to 9x for precision shots at mid-range. The turrets are easy to use and allow precision adjustment. The scope offers multi-coated lenses that is fog and water proof. The scope is filled with Leupold’s proprietary Argon and Krypton blend of gases. The eyepiece is lockable and holds your selected focus even after heavy recoil. Is there anything outstanding with this scope? Not really. You get a great scope for a great price that has all the features you can expect at this price point. Overall, this scope is highly recommended and a great buy for under $300. Compared to many other scopes in that price range, the Bushnell Trophy Extreme X30 6-24×50 has a distinct advantage in bringing a 30mm tube to the table. This is rare for scopes in that price range yet offers a list of advantages. It provides a larger inlet for light so the low-light conditions are improved. Specifically, as Bushnell also added a large 50mm objective lens! The other advantage is that you have a larger adjustment range. A scope with a large magnification like the Trophy Xtreme only benefits from such a larger range! The glass in the scope is of top quality. Bushnell uses its own coating called HD rain guard, so the scope provides a clear and bright image no matter what surrounding conditions you face. Whether rain or fog the scope will stay clear. The image produced by the scope is great. The combination of the large tube and objective lens with highest quality glass ensures a crisp and clear image even at long distances. The scope is designed for demanding hunt trips as it is shockproof and overall very designed and built sturdy. This allows it to be mounted on rifles with a heavy recoil without a problem. The eye relief is 3.6 inches which should be enough for rifles with a heavy recoil. The downside of the solid build, a large tube and a large objective size is that the scope is pretty heavy. While it only measures around 14 inches in length, it comes in at a weight of 23.7 inches. 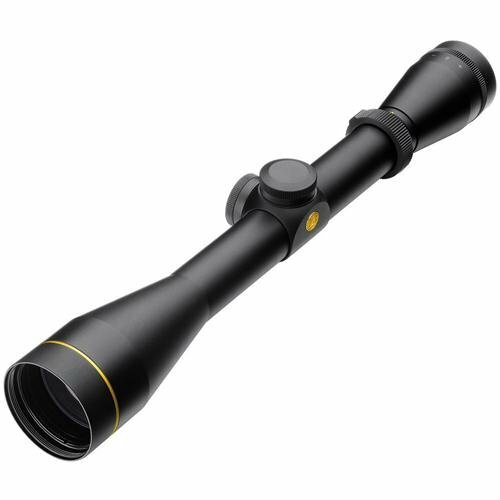 The large magnification in combination with the large tube and objective size make it an excellent scope for a longer distance hunting and shooting. The scope also offers a fast focus eye piece. The windage and elevation adjustments are easy to reach and use and allow for precision adjustments. The adjustments are performed in 0.125 inch increments. It also offers a side parallax focus. Overall, Bushnell produced a home run with this scope. It’s affordable and offers top of the line features and quality. If you’re out performing long distance shots, then this is a great scope for you. The Nikon ProStaff 5 2.5-10×40 offers a slightly higher magnification level as the other two scopes we looked at before. Being a Nikon scope, you can expect excellent quality and outstanding reliability from this scope. The optics are clear and sharp, and the scope offers a crisp image. The scope offers a great range of magnification and provides better range for shooting. The optics are coated with multiple layers of anti-reflective and anti-fog compounds. These coatings optimize light transmission and improve low light performance. Adjustments of the scope are easy and precise as you would expect from a Nikon scope. The turrets offer a spring-loaded instant zero-reset capability. This is a fantastic scope in the under $300 range. The magnification levels are excellent. The optics are fully waterproof as needed and expected for a hunting scope. 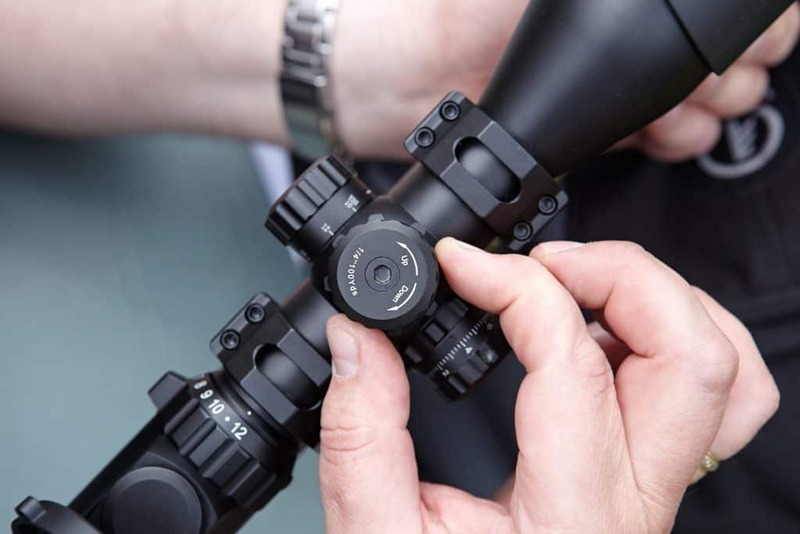 The larger range of magnification makes this scope overall a better buy than the Vortex and Leupold scopes we looked at before. The Crossfire II is designed as a multi-use scope by Vortex Optics. It comes with an adjustable objective designed for hunting or target shooting over several distances. The adjustable objective allows you to adjust the focus of the image to get the best picture of your target possible. The 4-16 magnification range is enough for most hunting situations. The 50mm objective lens provides a lot of size for light to enter. The tube is made from a single piece of aircraft grade aluminum. This provides ruggedness and durability under any situations. The diameter of the tube measures a more than solid 30mm. In most cases, you’ll find these sized tubes in scopes with prices starting a bit north of $300. The scope is equipped with a Dead-Hold BDC reticle that a great combination for hunting or target shooting. The BDC helps you when you’re estimating holdovers for shots at varying distances. The lenses are all multi-coated so you get crisp and clear images even in not-so-perfect light conditions. The coatings also reduced reflections and glare from the sunlight. Vortex designed the Crossfire II scopes to have long eye relief. It lets you acquire your target quickly with quick focusing of the reticle. It’s not necessarily surprising to find a scope with this level of magnification in the under $300 range but that there’s a Nikon scope was somewhat of a surprise. This scope is rugged and reliable and made from great components. The P-223 is specifically designed to be used on AR rifles and the enhanced magnification allows for longer range shots with such a kind of rifle. The reticle has bullet drop marks to effectively allow to make compensate for shots up to 600 yards. The scope features Nikon’s multi-coated optics which deliver a sharp and clear image. The multi-coating reduces reflection and glare and helps to improve visibility in low-light conditions. The turrets on this scope feature Spring-Loaded Instant Zero-Reset settings. The turret adjustments are easy and precise. If you have an AR rifle and are looking for medium to slightly longer range shots, then this is the scope for you. The lower end of the magnification makes it somewhat hard to track targets at lower ranges but as soon as you’re around 100 yards out you’re golden. A great scope for the AR for a good price. This is a high-performance rifle scope for medium range shots. The power level adjusts from 4x to 12x magnification. 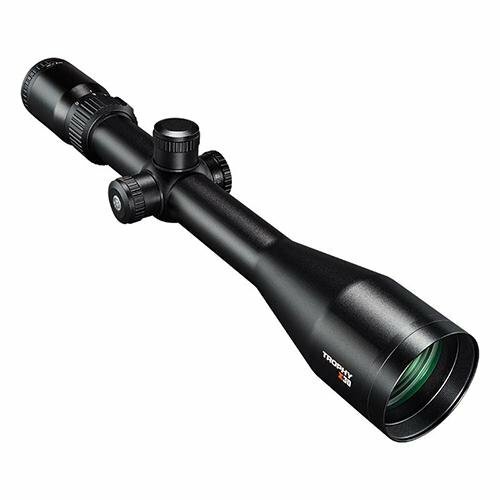 The Diamondback by Vortex offers excellent optical and mechanical features. The lenses are fully multi-coated with Vortex’ proprietary coating. These coatings are formulated to increase light transmission and reduce light reflection off the lens. They help to reduce the glare you often experience at higher magnification settings. The tube is made from high-quality, aircraft-grade aluminum which provides a rigged scope that will survive even tough conditions during your hunt. The tube is purged with argon gas to prevent it from fogging up internally. 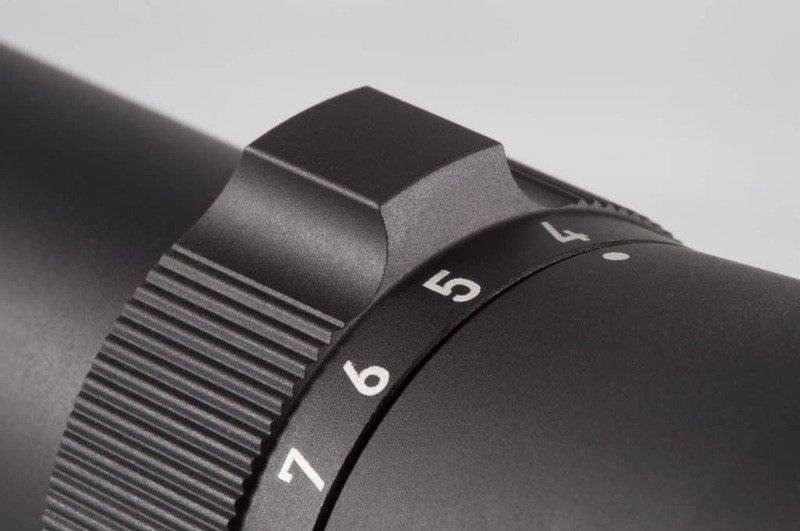 The mechanical side of the scope feature precise and accurate adjustments for windage, elevation and range. The scope features Vortex’ BDC reticle to compensate for bullet-drops. 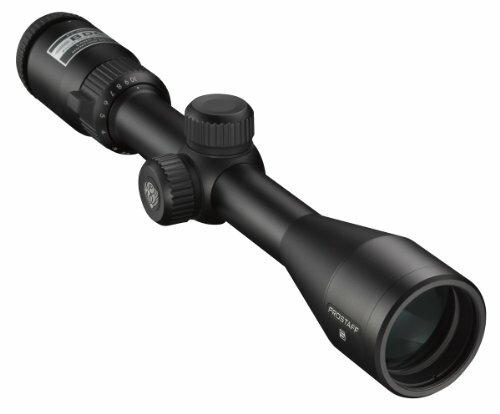 This scope is an excellent value if you’re looking for a hunting scope for medium to somewhat longer-range shots. It offers outstanding optics at the under-$300 level which you will have a hard time finding elsewhere. Sig Sauer made a splash when they introduced the Whiskey 3 series. These are the low-range scopes that are offered by this brand and offer a 3x magnification range making this a standard 3-9x scope. Sig Sauer Whiskey 3 3-9x50 SFP Standard Duplex 0.25 Riflescope, 1"
It comes with a 50mm objective lens and in combination with the multi-coated, ultra-clear glass it’s our top pick for low-light conditions in the price range under $300. The reticle on this scope is a standard duplex that’s on the second focal plane. The eyepiece is of European design. It allows for quick and precise adjustments on the reticle making target acquisition fast and easy. Some higher-priced Whiskey 3 models come with illuminated reticles which makes it an even better choice for lowlight shooting. Unfortunately, the price point for these illuminated models is above $300. Nonetheless, the glass quality and the large objective lens make this scope a great choice if you often shoot during dusk or dawn. You’d be hard-pressed to find a scope in this price range that offers you a better low-light visibility. 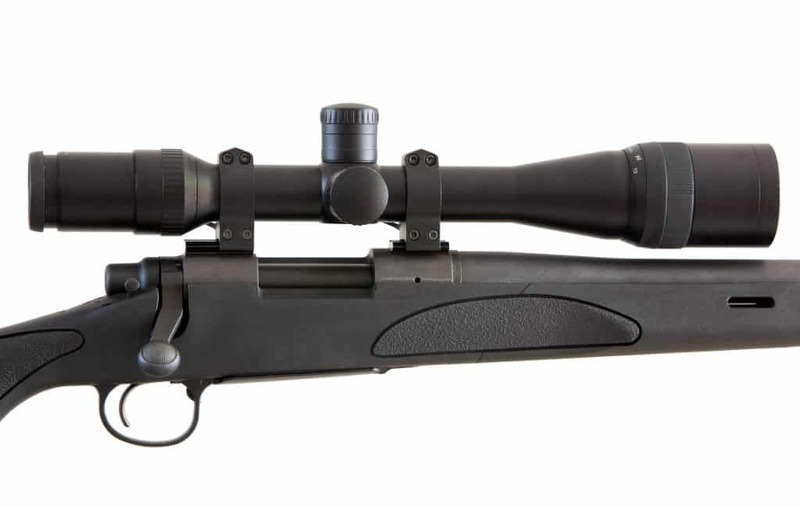 This scope offers outstanding magnification for long range hunters and target shooters. 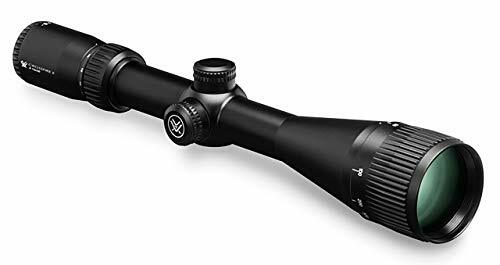 Typically, for long distance shots you’d want to spend more money to get better optics on the scope but this scope offers great features for an outstanding price. This scope is not for everyone. 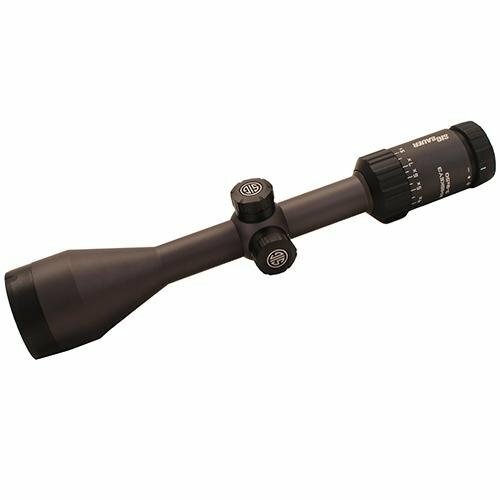 The lower end of magnification renders it not a good fit for a lot of hunters but if you’re into long-range shots, then this is the scope for you in this price range. The upper level of magnification is a whopping 32x which gives a lot of other scopes a run for their money. The scope is solidly built and features high-end optics and materials. As you would expect and need, this scope offers a 44 mm lens and a 30 mm tube. 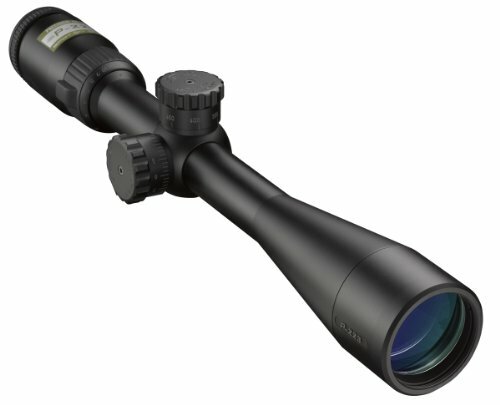 This is rather standard for long-range optics but otherwise hard to find on a scope for this price. It offers easy to adjust settings for windage, elevation and magnification. The scope keeps zero even when shooting with rounds and rifles that have heavy recoil. The lenses are multi-coated for anti-glare and offer a crisp image of the target at any magnification level. The larger lens and tube diameters allow for maximum light transmission and provide excellent low-light capabilities. This scope is a fantastic choice for long-range shooters that are on a budget. You won’t find another scope in the under $300 range that offers these long-distance capabilities. But be aware that you only want this scope if you are looking for long-range shots! Is there a clear winner? No, certainly not. These are great scopes for different uses. The Mueller is a fantastic scope for long-range shots, but you don’t want to use it when you try to shoot on rather short distances. With the other scopes you really can’t go wrong when you’re looking for a solid medium-range scope for a good price. You want to adjust your scope’s magnification capabilities depending on whether you shoot shorter ranges or tend more to the medium distances. Any of these scopes provides a great value for the money. These scopes all are rugged, reliable and accurate and will not fail you when you use them. Overall, these scopes all offer solid features that allow you to take reliable shots in most circumstances you can find in the field. The $500 price point is a step (or two) up of the scopes we review in this list. This higher category offers several scopes with excellent capabilities. 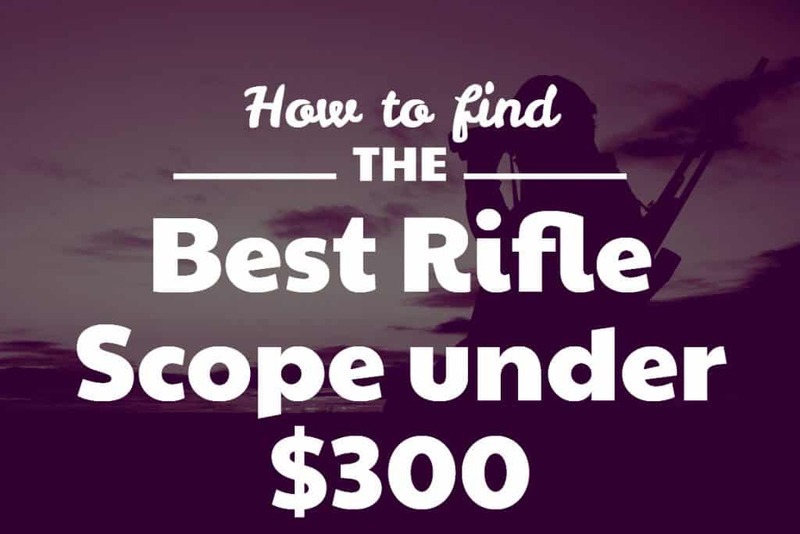 We compiled a list of the best rifle scopes under $500. You can find it at https://riflescopescenter.com/best-under-500/. What scope do you need for 300 yards? The rule of thumb is that you need a 1x magnification increase for each 100 yards. Based on that rule you need to at least need a 3x scope. If you shoot at smaller game or targets, then you need a higher magnification. Consider a 6x or even higher in that case. What is the best scope for a .308? The Winchester .308 is a very popular choice for hunting medium and big sized game. Recoil on the .308 is not too hard. There are several good scopes for the 308. We compiled our list of the best ones and you can find them at https://riflescopescenter.com/best-308/. What is the best scope for 1000 yard shooting? Shooting at targets or game at 1,000 yard ranges requires substantial magnifications of at least 10x. Typically, you want to go higher than that. These scopes have to have excellent quality and require ultra-clear glass. This comes with a price. 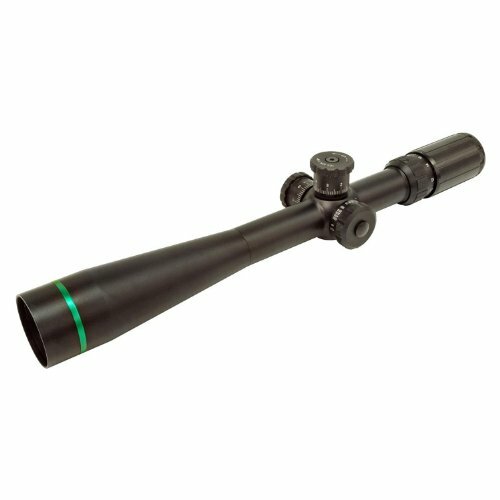 Check out the best scopes for 1,000 yards at https://riflescopescenter.com/choosing-the-best-1000-yard-rifle-scope/. For 2019 we added two scopes to the list. First, the Vortex Crossfire II. It’s a great all-around scope that’s in all fairness a close runner-up to the Leupold VX-2. Secondly, we added the Sig Sauer Whiskey 3. This scope has excellent low light capabilities at an affordable price. For the 2018 version of this list we did remove the Vortex Viper 3-9×40 âscope for the simple reason that it’s not available anymore. Otherwise, it was/is a great scope and if you can get it then there’s no reason not to.